The Meshwesh or Ma were nomad hunter pastoralists who coagulated their various tribes into one. Currently under one King, they live off their cattle, sheep and camels. Their families are their life. 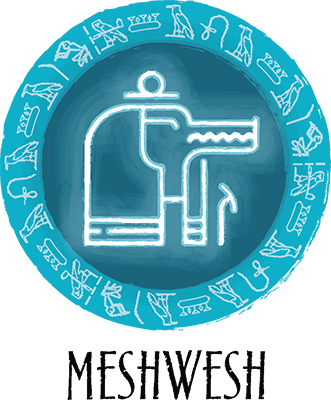 The Meshwesh men sport tattoos and long hair with side locks but some have the shorter hair, popular in Egypt, but braided with leather, beads and feathers. No longer nomadic, they have grand visions of power! The men display their prowess in large families with many sons. Accomplishing a goal of a large army over generations, they do not rule out the strategy of gaining allies through marriage with the other peoples who have settled in Egypt. The chiefs enjoy their strong men engaging in formal challenges. Parades are a common sight as much for intimidating their neighbors as displaying the sharp swords of their well-equipped soldiers. 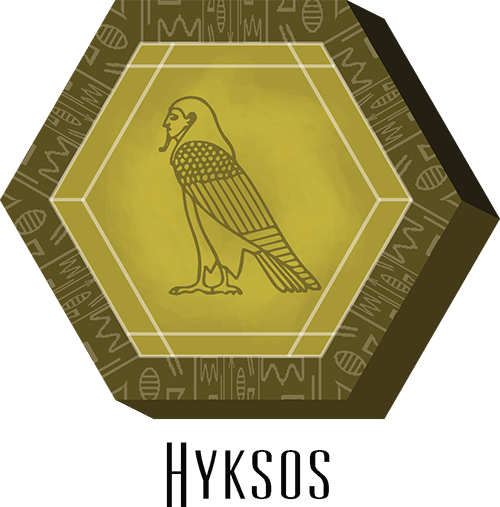 Since that long ago conquest, the Hyksos have increased their wealth and learning to form a Dynasty with Avaris as their capital. Money buys power. Their people are happy and secure in the trust of their leaders. Archery is their most popular sport. Their relaxed life gives them time to indulge in mathematics and art. A long history of periodic warring has taught the Kingdom of Kush to maintain a militaristic posture at all times. Always be ready and have your bows and swords at the entrance of your tent! Their old kingdom is still a source of soldiers and supplies. Patience in a chess-like game of conquest has given them a strong foothold in the south. But being so war minded, they are unusually religious, venerating their priests. They rely on their gods to give them direction. They enjoy regular ceremonies to show their worship and to honor their dead heroes in funerary processions. Architecture is in the process of being restored thanks to a span of years of peace lately. Factions are a new concept to A Tale in the Desert, designed to enhance your game play with strategy. Upon gaining Citizenship from your Peasant status, you leave the Welcoming Island by ferry. But before launching to the Egyptian mainland you must choose a Faction. Which group of peoples will you be a part of? Rewards await your interactions and cooperation within your adopted faction. Success gains new powers to erect community buildings and faction compounds while also letting you participate in other public works projects and partake in special community events. Become an Elder and have the power to expel members of your faction. Or invite new players from another faction to join your cause. To be an elder, you are elected by your peers. Be aware that your power is limited in its uses, however. Use your executive actions wisely. Another source of rewards comes with helping your faction prosper. 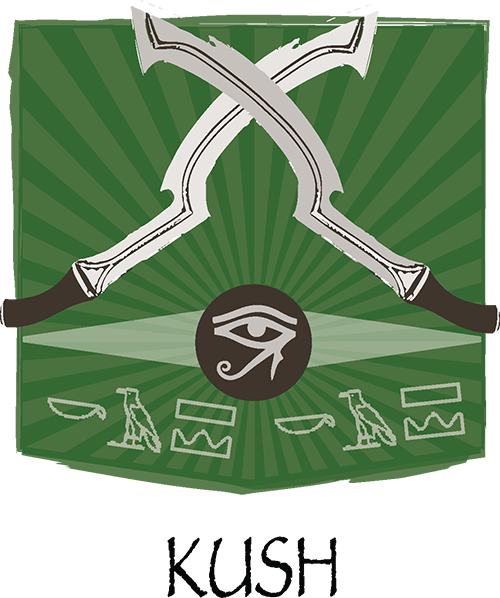 As you contribute to your faction’s research projects, your fellow citizens help the progression of tests or control of Egypt. By doing this, you will receive rank points. The top ranking players each week will be promoted to a more senior position. Become idle and face the risk of demotion!